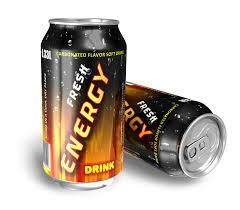 Do Energy Drinks Encourage Driving Under the Influence? You might think that drinking lots of caffeine along with alcohol would help a driver avoid charges of DUI in Los Angeles. But a recently published study in a scientific journal (Alcoholism: Clinical and Experimental Research) suggests that may not be the case; in fact, the more super-caffeinated beverages a person has, the more likely it is that he/she will drive under the influence. • 57 percent said they had drunk at least one energy drink; of that number, 56 percent said they drank the energy drinks both alone and with alcohol, 15 percent said they drank them only when mixed with alcohol and 27 percent said they drank the energy drinks and alcohol separately. The researchers found a link between the students who reported DUI and those who admitted to consuming a greater number of energy drinks. In their analysis, they suggested that people who drink energy drinks may already be the type of people more likely to drive under the influence. The consumption of energy drinks might also encourage riskier behavior, including driving under the influence. At the start of the study, most of the students would have been under the age of legal consumption of alcohol. If they lived in California and faced arrest for DUI for a blood alcohol content of .08 or greater, they’d lose their license, get probation for three to five years, pay up to $1,000 in fines and attend a mandatory alcohol education program. (Vehicle Code 23152).